Much of the hiking as a 900 Miler, I do solo for a couple reasons. First, it is often more practical as I tend to hike hard and fast and good hiking partners are hard to find. I also tend to prefer spontaneity in planning. Secondly, I hike for spiritual reasons and the solitude gives me room for reflection, not to mention increased probability of bear sightings. But this is not to say that the Smokies should not be shared freely with friends and family. A proper Sabbath has both elements of quiet self-reflection and moments of laughter and conversation that is the fellowship of loved ones and friends. In a world where brevity of communication is embraced in snippets of 120 characters and selfies, a good long hike affords good long conversations. For these times, there are certain trails that provide a balance between length, difficulty and the encounter with creation. West Prong Trail fits this balance well. It is an easy hike, perhaps best suited for a yo-yo as there are not any reasonable options for a loop. 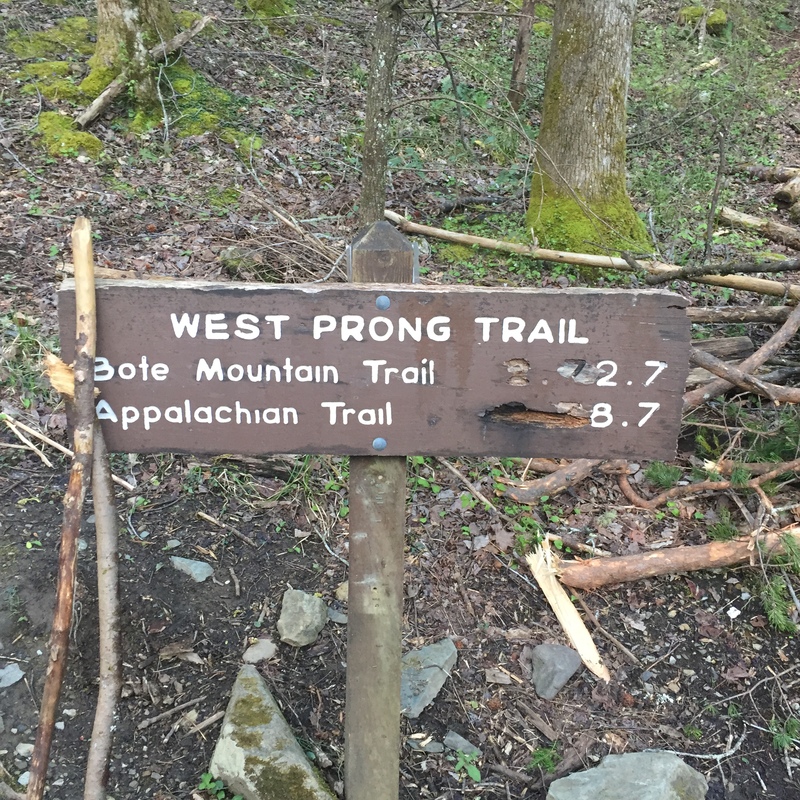 West Prong Trail is a connector of sorts in that it connects the Cades Cove Trails with the trails of the Tremont and Element Sections. It also connects the Middle Prong of the Little River with its namesake, the West Prong of the Little River. Both these prongs combine with the Little River proper at the famous “Y” at the Townsend entrance to the Park. 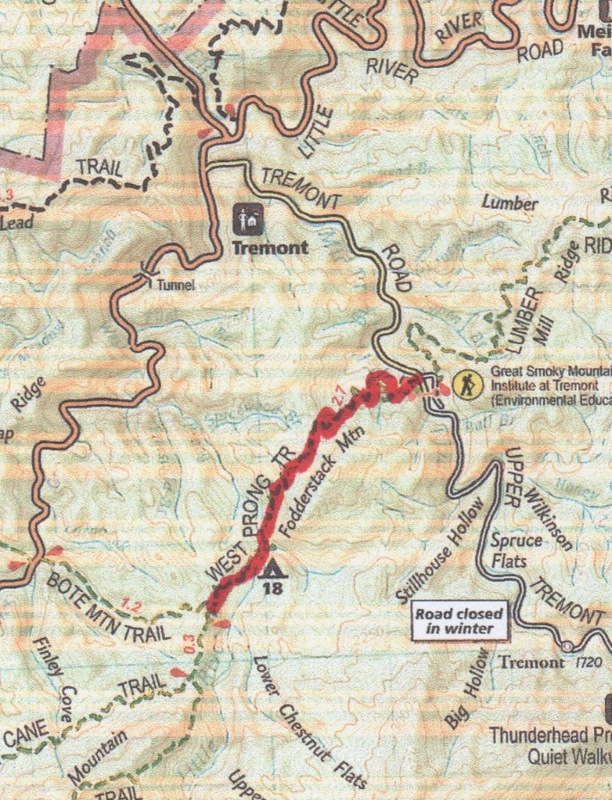 The trailhead is in a parking area off Tremont Road and the trail extends 2.7 miles to Bote Mountain Trail. The hike is fairly easy and includes a couple features that include the Walker Family Cemetery, Campsite #18 and the West Prong itself. Almost immediately from the trailhead, there is a fork leading left on the designated trail and right to the Walker Family Cemetery, which is still maintained and active. There is a trail leading from the cemetery back to West Prong Trail at 0.3 miles to complete a short loop. The majority of the climbing for the day is over the first 1.25 miles as the trail ascend gently up the flank of Fodderstack Mountain to climb about 600 ft. At 1.1 miles the Dorsey Branch Trail exits to the right. Dewey Branch is an old 1.5 mile manway leading back to the West Prong Trailhead at the parking lot through mixed hardwoods in an area of remote homesites long disappeared and reclaimed by the forest. The trail crests shortly after the Dorsey Branch Trail and descends slightly to the West Prong. 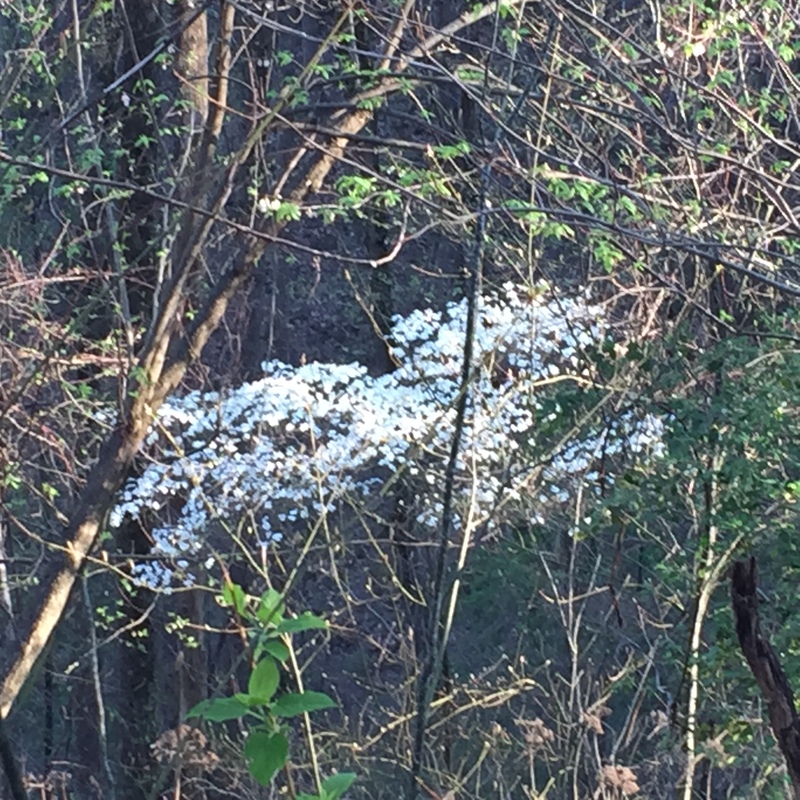 April brings the Dogwood blooms which are plentiful along this path. 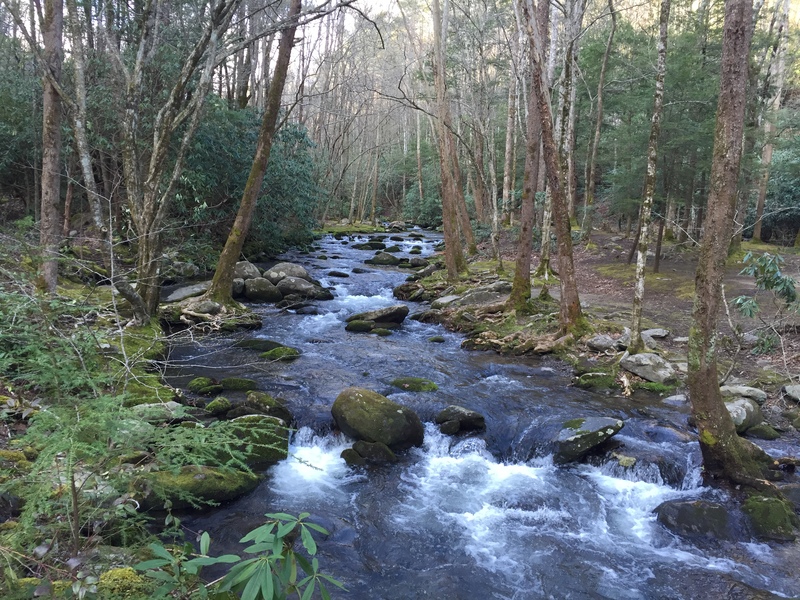 At 2.1 miles the trail crosses over the West Prong on a footlog leading immediately to West Prong Campsite #18. This large site has found itself overdeveloping along the creek with highly impacted spots and little privacy. However, there is a second half of the site further up the trail which contains the bear cables and much more secluded accommodations. The trail leaves the campsite in a bit of a switchback as you continue a slight climb up the foot of Bote Mountain. At 2.7 miles the trail terminates at the intersection with Bote Mountain Trail in a nice pine forrest. Special thanks to my friend Lynn Youngs for the hours of conversation and fellowship. Strider Out! 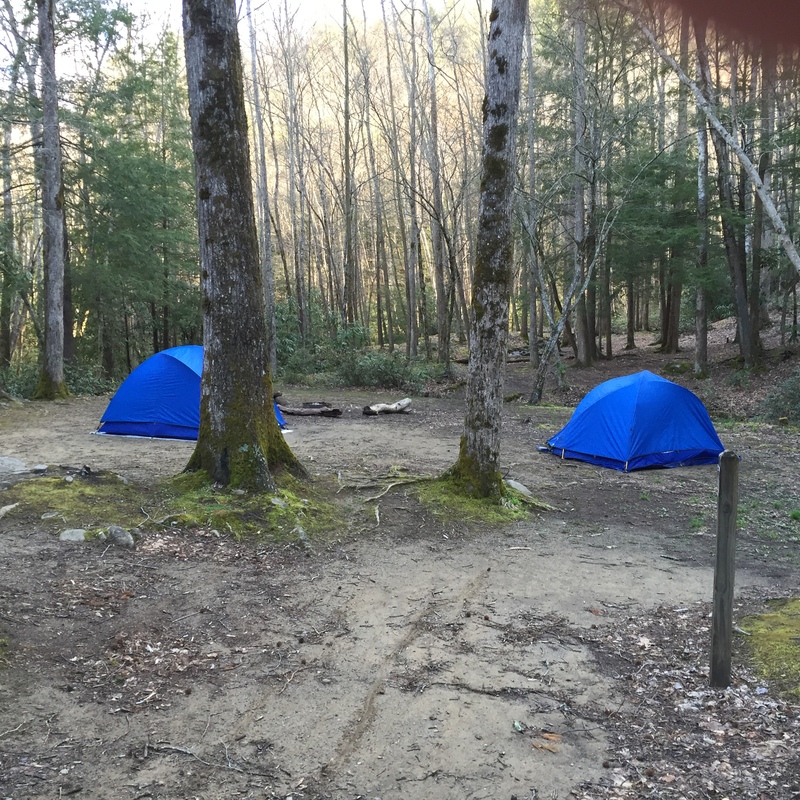 This entry was posted in Encounter Creation, Trail Log and tagged Campsite #18, Tremont, West Prong Trail on May 10, 2016 by blogginggazelle.